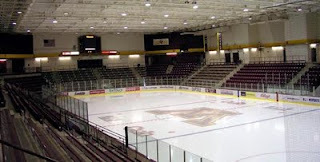 The official Lincoln Stars website released the schedule for the 2013 tryout camp today which will be held at Ridder Arena on the campus of the University of Minnesota, in Minneapolis. The camp will take place from June 6th-9th. 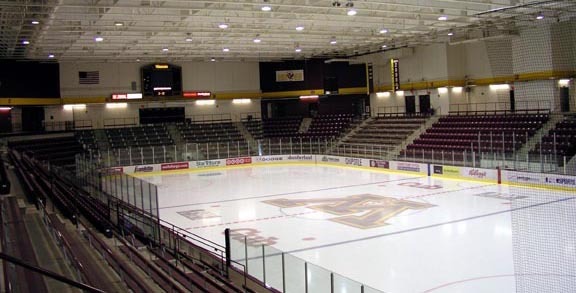 Pictured to the left is a shot of the inside of Ridder Arena. Click here to view the schedule in a .pdf format. I will post the schedule below, also. Just about the exact same schedule as last year, which is good. There were six teams at the camp last year as well, which came out to over 110 players. According to the Lincoln Stars website, the camp is now full, which is also a good sign that prospective players are interested in attending. More players is always a good thing. It just means more competition for quite a few open positions on next year's roster. I'm really getting excited for this event! Can't wait to make the trek up there. I will be posting a number of articles related to the camp in the next couple of weeks, so stay tuned for that.